Join us on MARS this week. We have in store a Fartlek Run (Tuesday morning 6:30 am), a 90 minute Progression Run (Thursday noon) and a Fast Finish Progression Run (Saturday 6:30 am). In addition, the Sunday Morning Running Group remains active (see their Facebook page) and Mini Meet #2 at York University is this Sunday as well. Don’t forget to renew/get your MARS Memberships at The Sportlab. Download registration forms at Membership tab. Gear orders also through Sportlab. The next RUn for The Pub is Thursday January 23 at 4:30 pm (run) and 5:30 pm (pub). See you there. At Mini Meet#1, W60 Karla Del Grande and M70 Tony Powell both broke the CAN records in the 50m Karla ran 7.51 – breaking the old mark of 7.73 set by Carol Lafayette-Boyd SK in 2003. Tony ran 7.50 – breaking Mike Morris’ 7.57 mark from 2012. 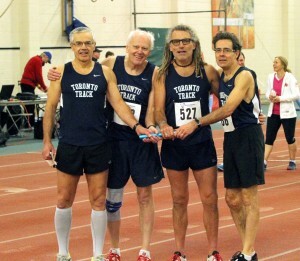 The University of Toronto Track Club set a ONT record in the M60 4X200m (Peter Zowkewych, Duncan Greenshields, Doug Smith, John Helliker). Congratulations to these Masters Runners. Why not give it a try? 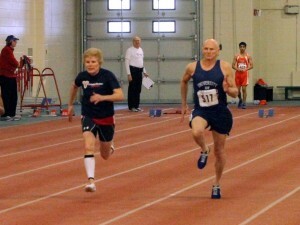 Future meet dates are Jan 19, Feb2, March 9 and March 15-16. Details here. 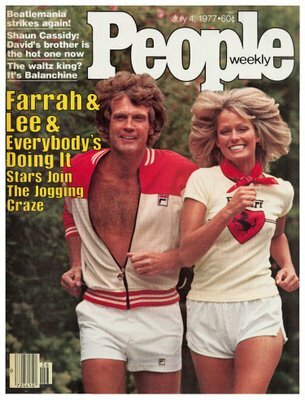 Lee Majors and Farrah Fawcett did it, but back then they called it “jogging”. 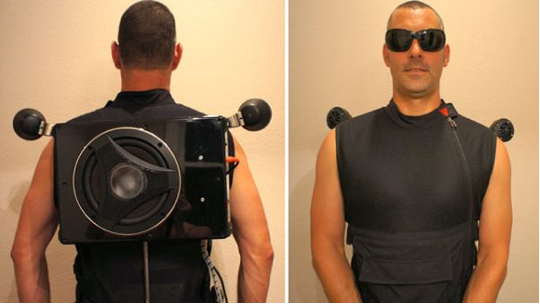 You can now buy a running outfit with built in mp3 that is powered by your running. 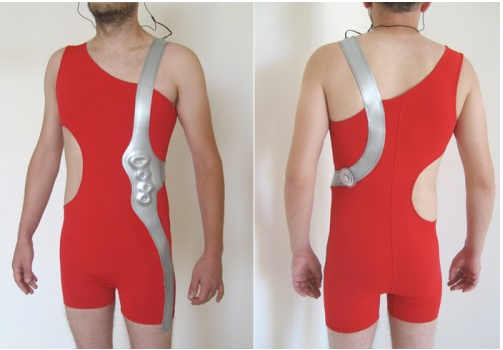 MARS does not recommend this particular suit. High tech mp3 player with subwoofer. Good also for core. See you on the roads. This entry was posted in Club Details, Masters Running, Races, Scheduled Runs. Bookmark the permalink.